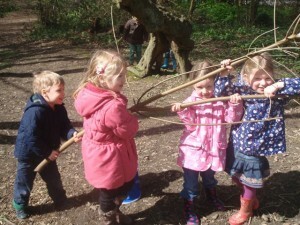 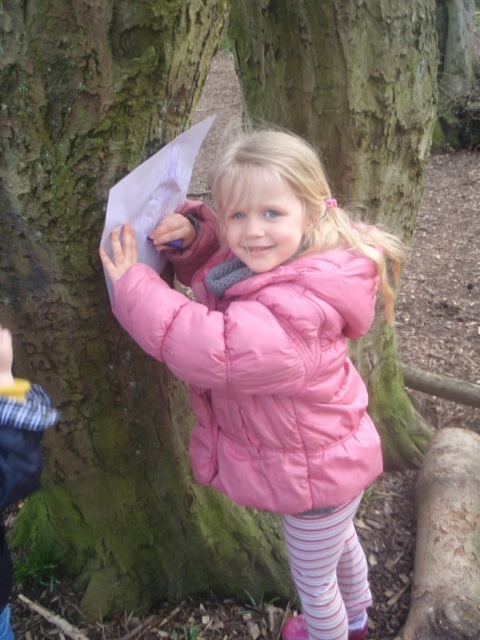 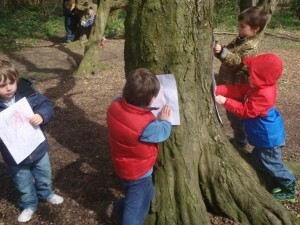 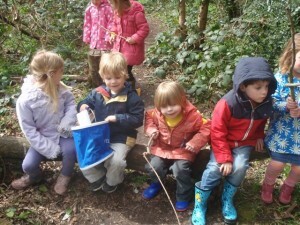 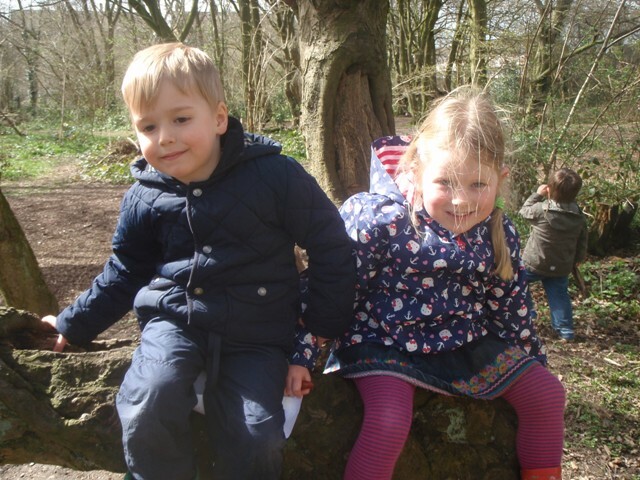 The children enjoyed bark rubbing, tree climbing and looking for native British wildlife in the woods! ‘Enjoying the sunshine’. ‘Bark rubbing’. 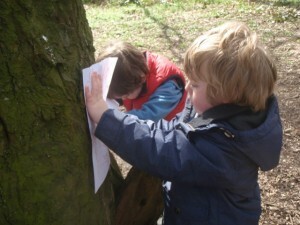 ‘Exploring the bark’. ‘Creating pattern from bark’.